The tranquil garden of Little Galey holiday cottage. Little Galey is a 17th century semi-detached Lake District Cottage. 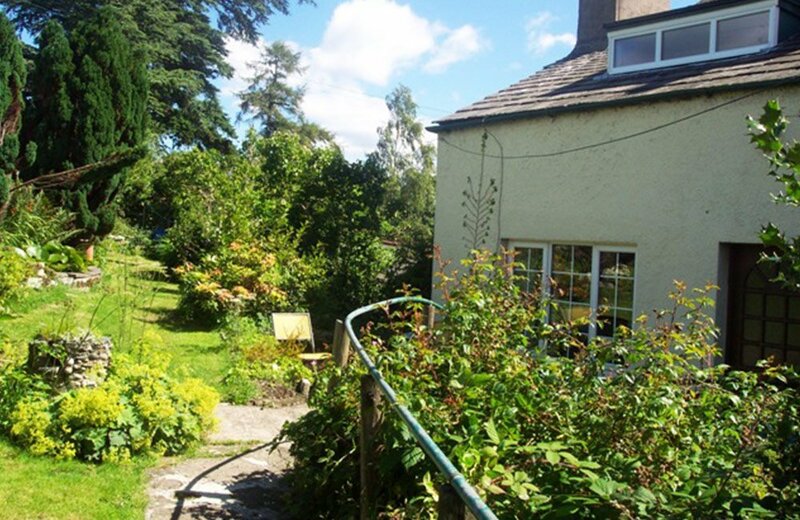 Originally part of the main house for the Thornthwaite Estate, Little Galey has lots of character, and is set in its own secluded garden, with patio and garden furniture, ideal for barbeques! 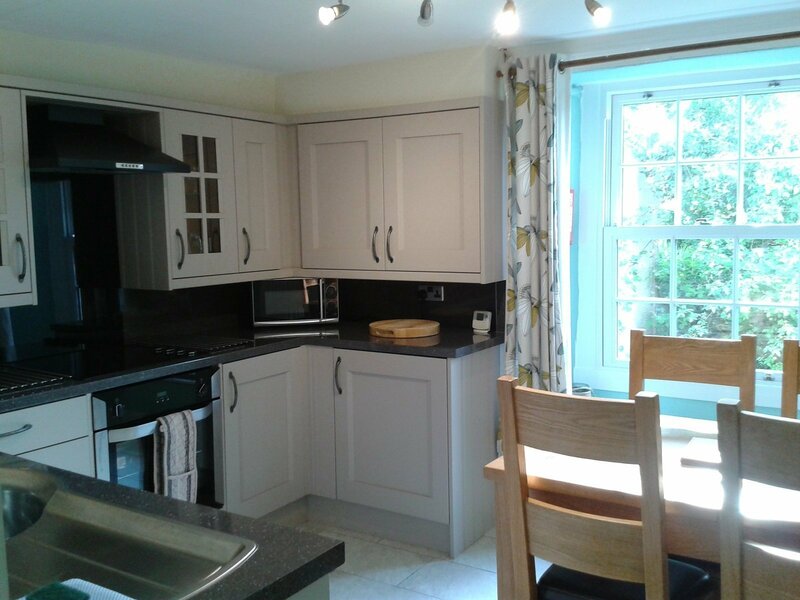 There is a painted oak fitted kitchen with electric oven, ceramic hob, microwave, toaster, fridge/freezer and dishwasher. All crockery and cutlery is included. There is an oak dining table which seats 4 people. The large lounge has an excellent log fire and ample comfortable seating. There is a flat screen television with Freesat and DVD player, Little Galey also has free WiFi access. There are two bedrooms upstairs, one double and one twin (please note the twin bedroom is accessed via the double bedroom). 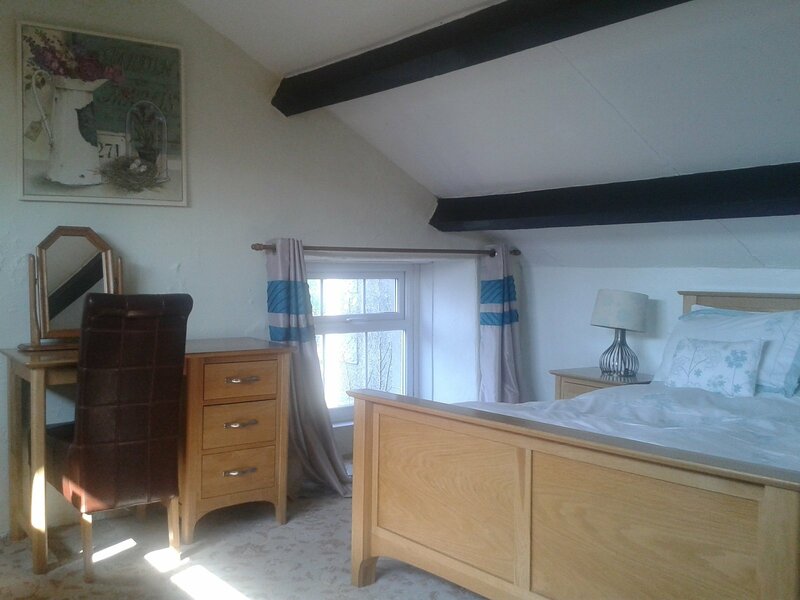 The double bedroom has an oak double bed, double wardrobe, dressing table and bedside tables. 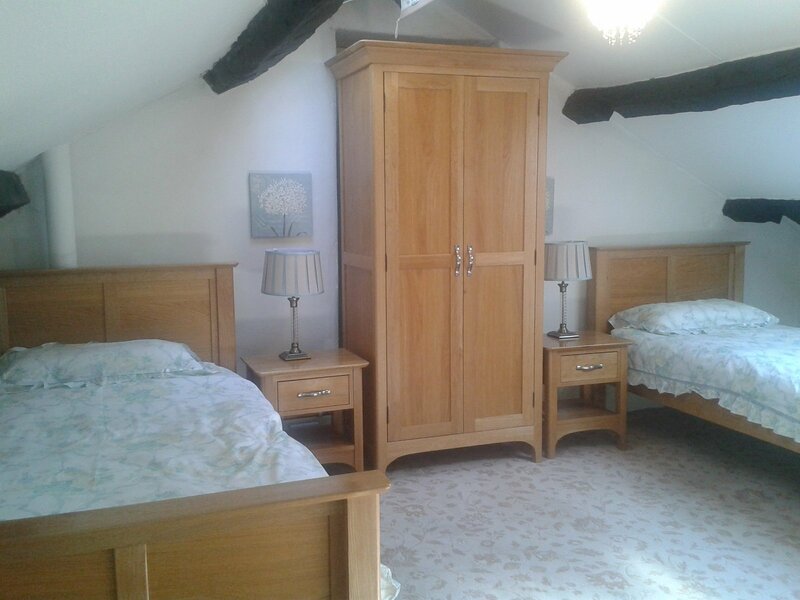 The twin bedroom has two oak single beds, a double wardrobe, dressing table and bedside tables. All bed linen is provided. There is a downstairs bathroom containing a large walk in shower, washbasin, w.c. and heated towelrail. 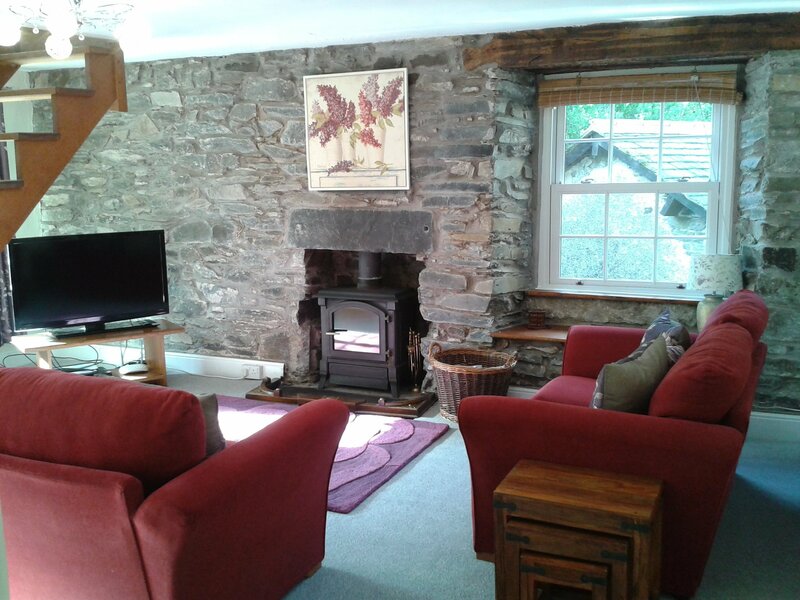 Short breaks are available all year in Little Galey. Due to the open staircase in Little Galey, we only allow children over the age of 5. We allow one pet in Little Galey Cottage, we charge an extra £3 per day.